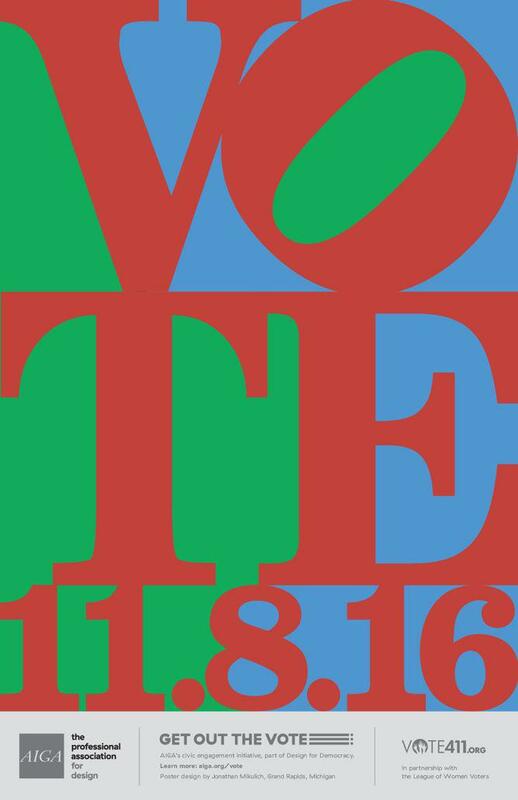 AIGA’s Get Out the Vote campaign features free downloadable posters from American designers encouraging citizens to vote. 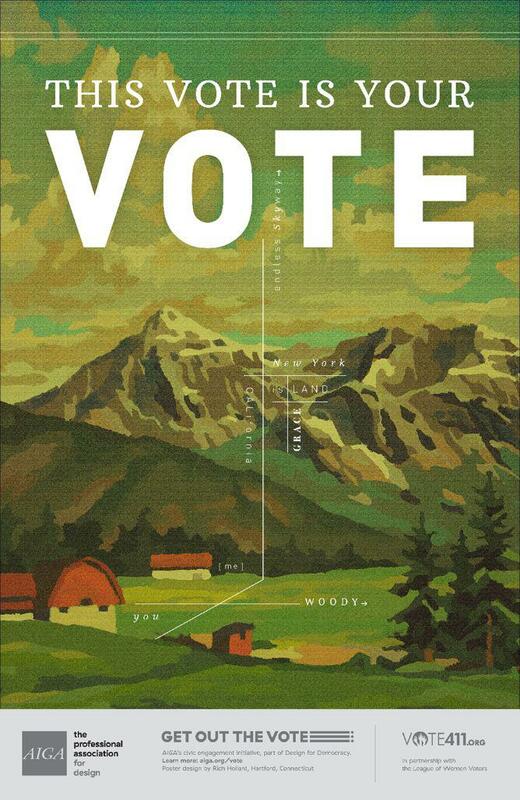 “Vote Americana” by Rich Hollant. The 2016 presidential election has thus far failed to create an instantly iconic image like Shepard Fairey’s 2008 “Hope” poster, but that doesn’t mean that America’s designers aren’t giving it their best. “Love to Vote” by Jonathan Mikulich, inspired by the iconic pop art image by American artist Robert Indiana. 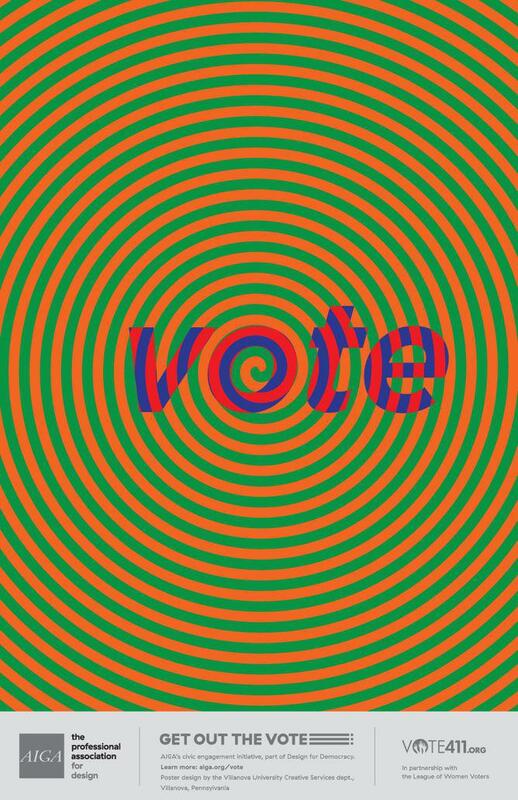 “Vote Hypnosis” by Bernadette Dierkes. 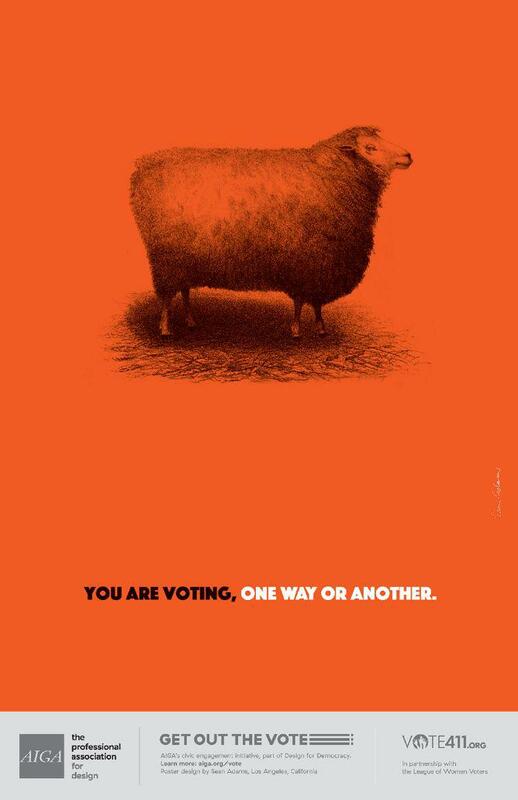 “Don’t Be a Sheep” by Sean Adams. “Get Off Your Lazy A**” by Gaby Heit. 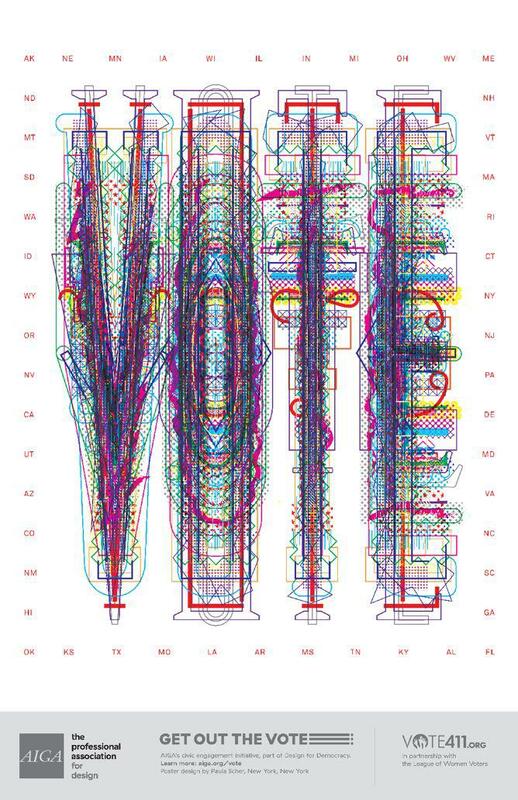 Since 2004, AIGA’s Get Out the Vote campaign has been inviting its 25,000 designer members to create free, downloadable posters that harness “the power of design to motivate the American public to register and turn out to vote in the 2016 general election, as well as local elections to come,” according to the New York City–based professional design association’s website. 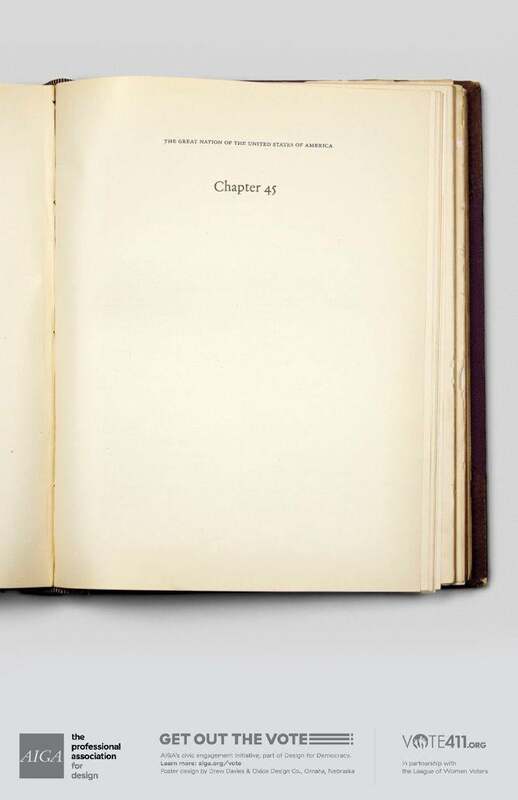 “Chapter 45” by Drew Davies. “Honor Your Foremothers” by Ann Willoughby. 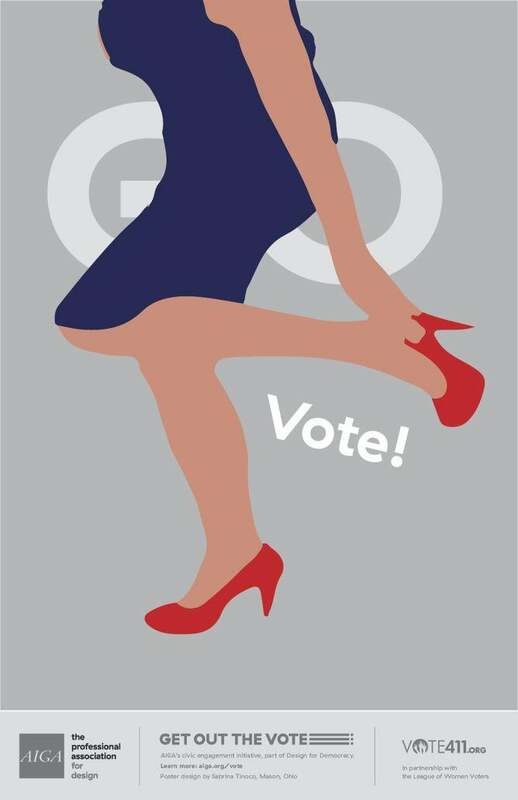 “A Woman’s Vote” by Sabrina Tinoco. 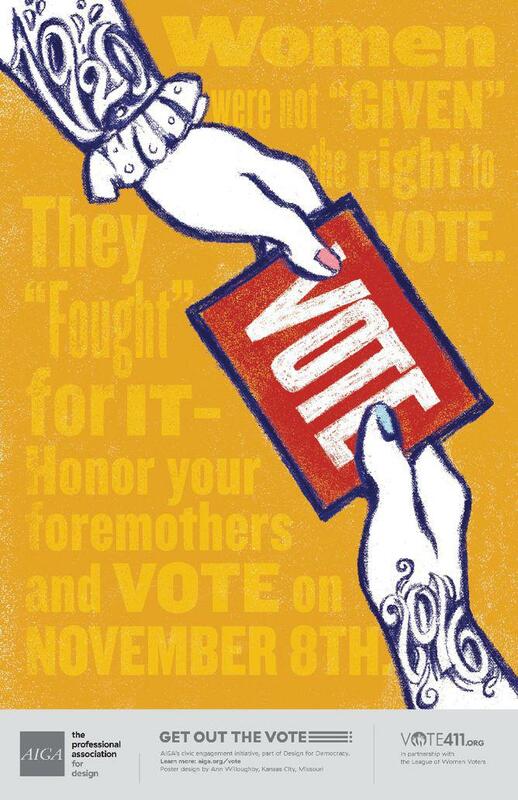 “The idea behind this poster is for it to be a subtle reminder for women of the struggle it was to get the right to vote and the fact that now that we have it, and we can express an opinion and make a difference. We shouldn’t take it for granted,” the designer said. 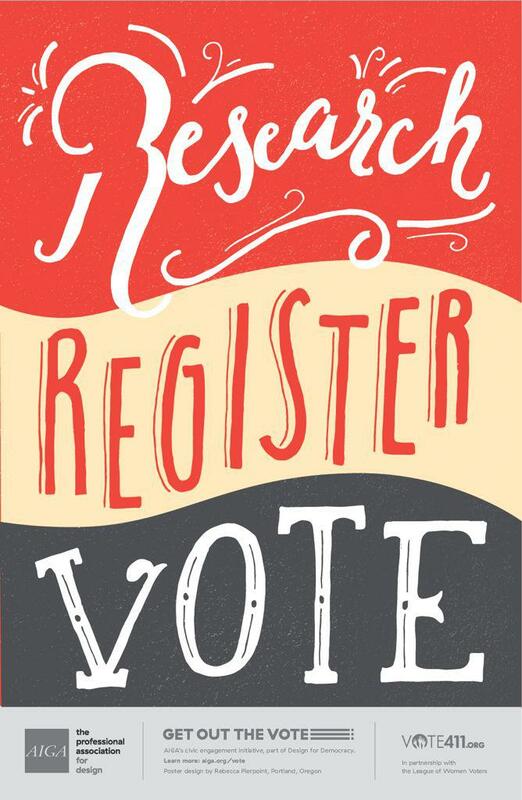 The 374 posters submitted thus far (AIGA members have until Nov. 8 to contribute) are as disparate in style and approach as the designers themselves—which include high-profile names such as Pentagram partner Paula Scher and veteran Milton Glaser (most famous for the “I Love New York” logo). But the citizen designers of America are unmistakably united in their message to the 42.5 percent of eligible voters who didn’t exercise their right to vote in 2012. 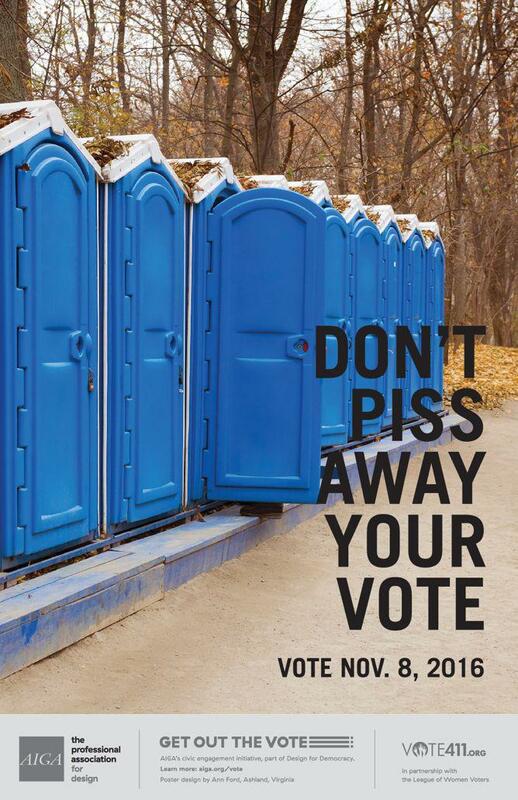 “Don’t Piss Away Your Vote ” by Ann Ford. “Three Easy Steps” by Rebecca Pierpoint. 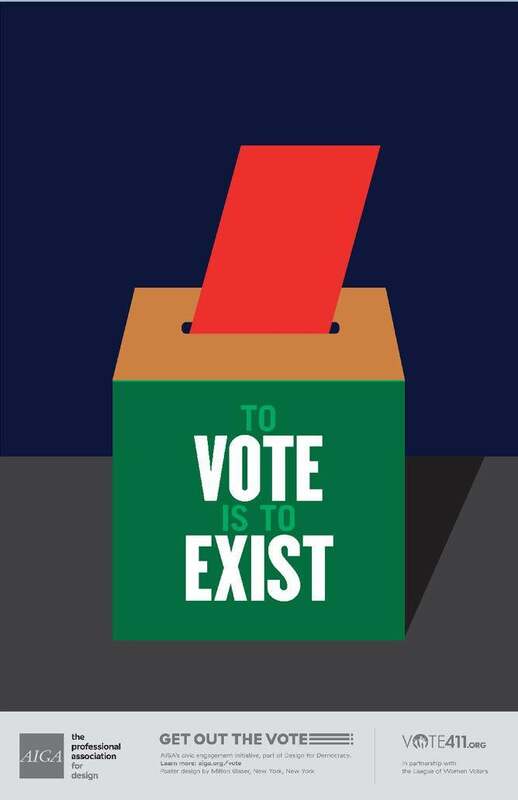 “To Vote Is to Exist” by Milton Glaser. 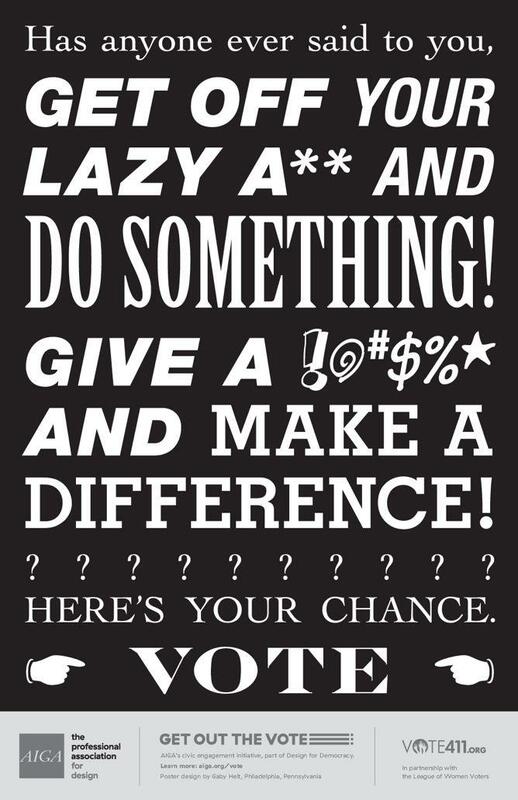 Check out the rest of the posters at the AIGA website, which, unlike this range of $5 campaign buttons designed by 45 American designers, are available to download, print, and disseminate for free.